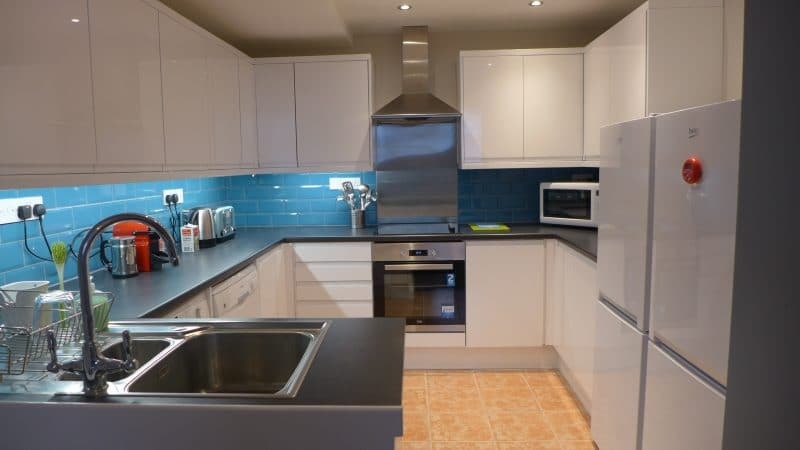 AN EXTREMELY WELL APPOINTED APARTMENT, CENTRALLY LOCATED with GREAT QUALITY FINISH THROUGHOUT, FAB COMMUNAL SPACE AND STUNNING KITCHEN WITH DISHWASHER, WASHING MACHINE AND DRYER AND COFFEE MAKER ETC. This very well proportioned Semi Basement 4 Bedroom Apartment is located in Ashburton Road, Central Southsea, just off Osborne Road. Just moments away from popular Palmerston Road shops, bars and restaurants. 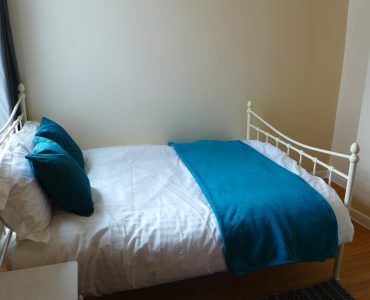 A quick 1 minute walk to SOUTHSEA COMMON and THE SEAFRONT. 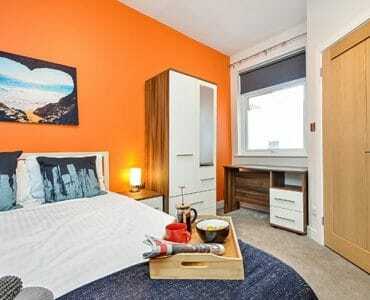 Viewings being arranged NOW for this good sized double room. 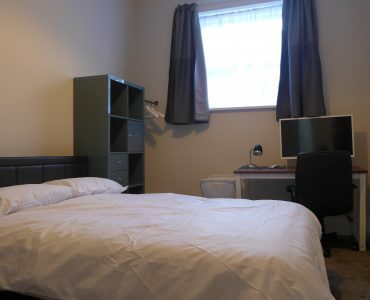 These lovely bedrooms offer a comfortable double bed, with flat screen TV and ample variety of storage units hanging space and desk and chair. There is a newly tiled beautiful bathroom, complete with bath with shower over, basin and loo shared by 3 rooms. 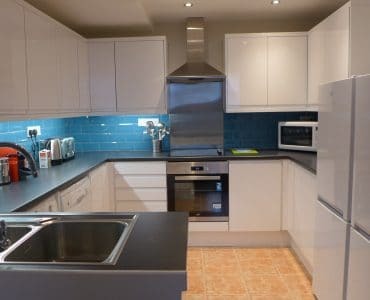 The rather stunning kitchen is complete with dishwasher, wash machine, stylish coffee maker and mood lighting, and has ample storage and food preparation areas. The communal space has comfy sofa, large flat screen TV, dining table and chairs. As you would expect with a home to this standard the broadband is the fastest speed available in this area. 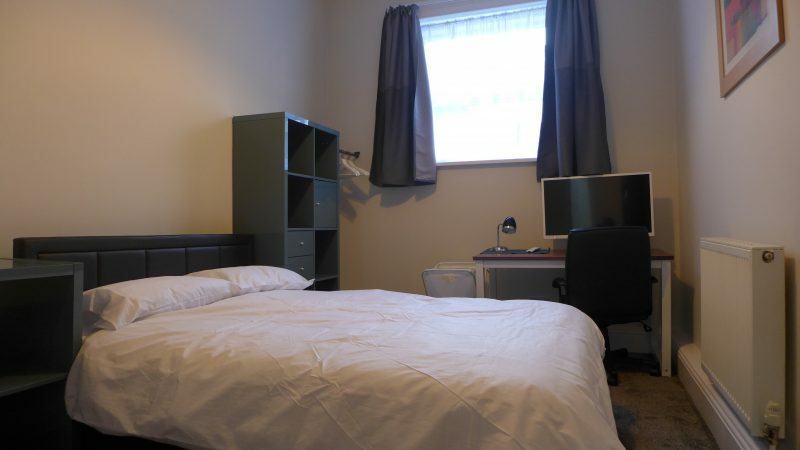 With Gas Central Heating and Double Glazing throughout, this apartment offers a great opportunity to have a fab room in a very popular area. THIS DOUBLE ROOM IS FOR SINGLE OCCUPANCY AND AVAILABLE TO PROFESSIONALS ONLY.